THESE ARE A FEW OF MY FAVOURITE THINGS, Part 2 - Croatia Travel Co.
It’s been awhile since I’ve started a series on the food of Croatia and it is a high time to add some new ideas for you to sample if you happen to be near these well-loved venues. Today we take you to two places that are a part of the fabric of Croatian life – places loved by generations of Croatians, each famous for one particular dish and for warmth and dedication of its owners. 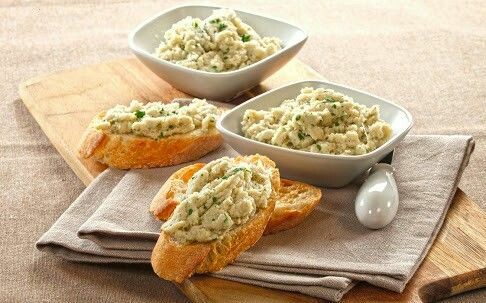 Bacalhau, or Bakalar in Croatian, is a salted dried cod fish that had been used in cuisines around the world for the best part of last 500 years, the need of preserving fish preceding the invention of fridges. Its use is hugely popular in Portugal, Galicia and other countries that have been under Portugal’s influence such as Angola, Brazil, and Puerto Rico but also in Norway. In Croatia, the name is synonymous with one dish in particular – bakalar “na bijelo” – or white salted cod. This is one of those dishes that most faithfully represent the “less is more” philosophy in Croatian cooking. It is an amazingly simple dish whose quality hinges on the best ingredients and patience, as cod is soaked, bashed and sometimes frozen for one or more days in advance of the cooking. To get that perfect silky texture, the fish flakes are beaten with a wooden pole, while olive oil is added very gradually, a process that can take well over an hour. For a quicker dish, the ingredients can be added all at the same time, whereby cod is combined with hot potatoes, best grade virgin olive oil, garlic, parsley, salt and pepper. Although this traditional Christmas Eve dish is dominant in Dalmatia, it is in Zagreb that one can sample what is arguably one the best bakalar in Croatia. 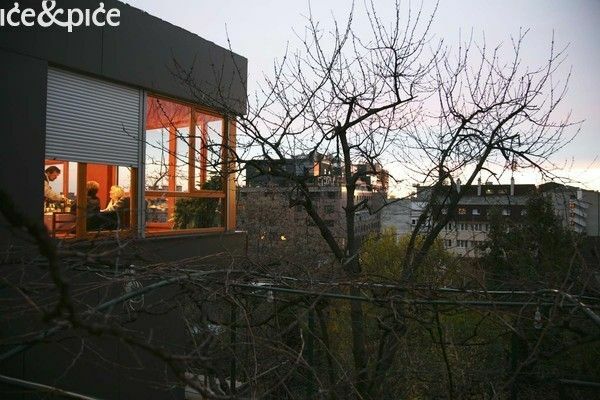 “Kod Pere” is a much loved family restaurant situated in Zagreb’s verdant and hilly neighbourhood of Šalata, just a few minutes from the city centre. This eatery is tightly weaved in the social, cultural and historical tapestry of Zagreb’s life and for decades it was known as the place where writers, actors and musicians shared superb home cooking and homely atmosphere with students, families and pensioners. Its legendary proprietor Pero, sadly no longer with us, was the keeper of Zagreb’s stories, legends and gossip, as well as the most attentive host. He is succeeded by his wife, son and other family members who continue to warm the bellies and hearts of Zagreb’s folk with their lovingly prepared traditional fare. Stopping for a spit-roasted lamb on the way to or from the coast has been a custom in Croatia for donkey’s years. 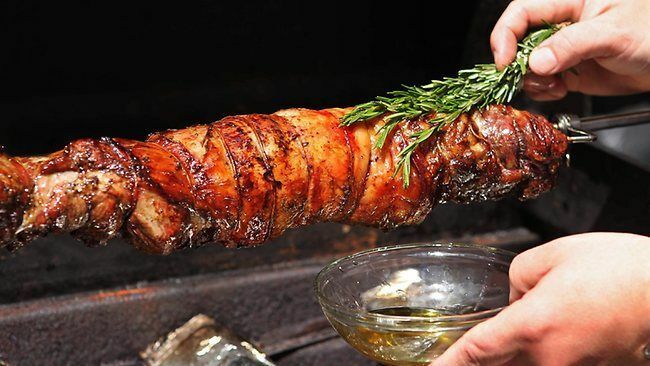 There is even a particular stretch of road running between Split and Šibenik through Boraje that’s been nicknamed the Road of Lambs, as it was dotted with road-side restaurants, each proclaiming to serve the best janjetina s ražnja, in English lamb on the spit. Lamb in Croatia has elevated stature and at its best it is sourced from the islands such as Pag and Cres, or from the rocky terrain of Dalmatinska Zagora – these are the places where animals graze on the cleanest, purest aromatic herbs and foliage, which gives the meat its unforgettable flavour. The lamb is often marinated in herb-infused oil and roasted whole on the spit above the flames of aromatic wood. Not the one for reluctant carnivores but if meat is your thing, you could do much worse than spend an afternoon feasting on this delicacy. Now, restaurants come and go and people can write whatever they wish but there is one restaurant that’s known above all others for this particular dish and it is Torcida. It is situated in the village of Donje Polje approx. 10 km from Šibenik, along the busy D58 regional state road that runs between Split and Šibenik and is often used by those returning to Zagreb from the Dalmatian coast. 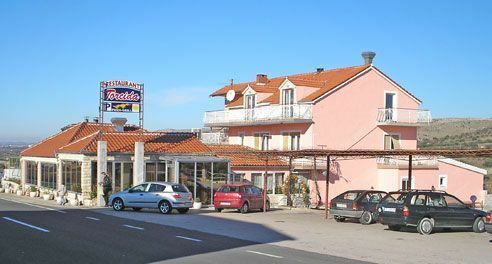 A family run restaurant, this somewhat ungainly pink building with an outside terrace and a large dining hall is frequented by locals, truckers, passing travellers and wedding and christening parties. It has been here since the 80’s and it is likely to stay for many more years. For what it lacks in sophistication it more than makes up in doing what it does best – serving excellent traditional food such as spit roast lamb or lamb, octopus and rooster under peka. Everything comes with home—made bread also from peka and there’s a decent wine list to go with everything as well.